Open Door realized as early as 1996 that they needed an Electronic Health Record to manage patient charts. The paper-based system was outdated and not serving the providers or the patients. An estimated 3% of charts were missing on any given day, and many charts were not legible, posing significant patient safety risks. An additional objective was finding an Electronic Health Record that was affordable and provided the many features that Open Door needed as an FQHC and as a provider of a wide array of medical, dental, and behavioral health services to a diverse population. Open Door uses eClinicalWorks to establish provider panels and ensure that patients are consistently seen by their primary care provider; clinical performance metrics are maintained for populations of patients with chronic diseases; clinical decision support at the point of care is used by all care teams; patient registries are used for managing populations; e-prescribing, electronic referrals, and electronic care planning tools are used to improve the safety and speed of care. Patient charts are accessible from all locations. There is no more moving paper charts from location to location. 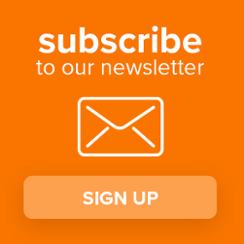 Easy and secure access to critical patient information. Reporting tools identify high-risk patients and patients with chronic illnesses who can benefit from additional care and counseling. Tracks orders and results for all laboratory and diagnostic imaging. Bidirectional lab interfaces improve timeliness of reporting results to clinicians and patients. Improved patient safety is realized due to e-Prescribing, allergy/interaction checking, and use of telephone encounters to document patient requests for refills of medication. Patient records are available over a secure network, which improves coordination of care after hours, on call, during hospital rounds, or at other times when the provider is not at the practice site but needs to make medical judgments. 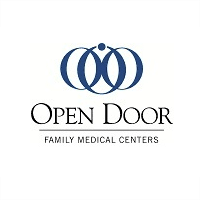 Open Door Family Medical Centers is a Federally Qualified Health Center (FQHC), and Level 3 Patient-Centered Medical Home (PCMH), recognized by the National Committee on Quality Assurance (NCQA), and is the recipient of the 2010 HIMSS Davies Award for Excellence in the Community Health Organization category. Open Door provides affordable, quality healthcare for all, regardless of a patient’s ability to pay.